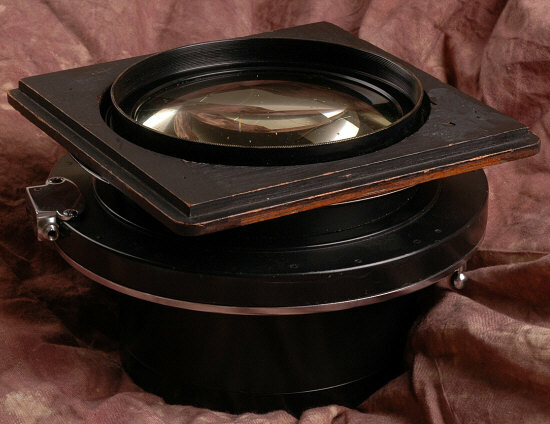 How often can you find a COATED 8x10 large format lens of this 1920's vintage? Soft Focus wide open, relatively sharp stopped down. It can also be shot with the rear element only. 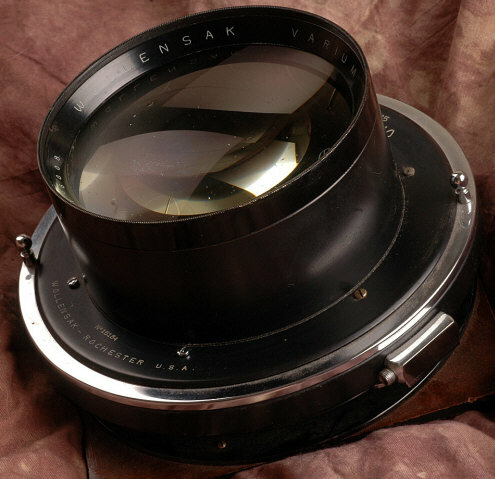 Variums were produced in 3 focal lengths: 14" 16" or 19". All apparently left the Wollensak factory uncoated. 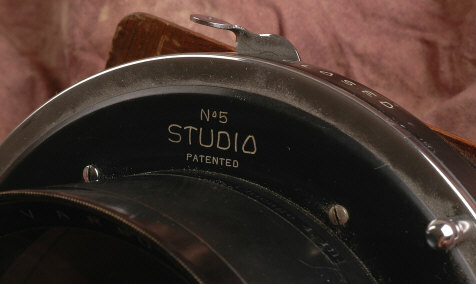 Studio No. 5 shutter, F/ 3.5 to f/22, controls work smoothly. 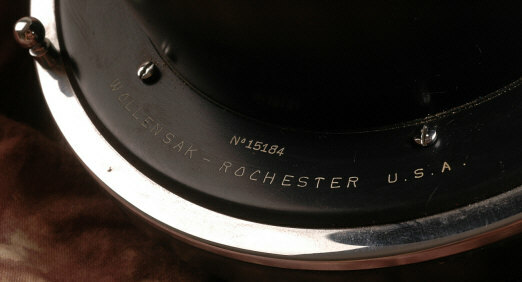 Judging from the sticker on the lens barrel, this gorgeous lens was apparently refinished and coated by Burke & James in Chicago. It's presently mounted on a 6x6 lens board. Revised: October 09, 2010 . Copyright © 2008 Stephen Gandy. All rights reserved. This means you may NOT copy and re-use the text or the pictures in ANY other internet or printed publication of ANY kind. Information in this document is subject to change without notice. Other products and companies referred to herein are trademarks or registered trademarks of their respective companies or mark holders.